Last October I finally succumbed to peer pressure. For years now I’ve been hearing from writer friends about the Romantic Times Convention. Years ago it was just known as the place where people got dressed up and met the male models who graced the covers of romance novels. It was a reader con. Being a writer of sweet Regency romances, I really didn’t think I’d fit in. Then I started self-publishing, and not just my sweet Regencies. I published a (for me) hot Regency-set paranormal romance, and I was planning on releasing a Medieval fantasy series which were also hotter than what I’d been writing earlier. With the self-publishing, I needed to spread my reach to more readers and I wasn’t entirely sure how to do that. That’s when I remembered this conference all my friends had talked about. And, they said, there were now more talks geared towards writers as well. So, I gave in and signed up to attend RT the following May. It was a time to remember! Oh, my, goodness! The lines! The people! The booze on Bourbon Street (because it just so happened to be in New Orleans this past year)! And the books! There were books floating around everywhere. Yes, there were some great talks, and I was even invited to sit in on a panel on self-publishing, which was loads of fun! I threw myself into the convention 100%, toting around and giving away free copies of my just-released Medieval fantasy series to just about anybody who stopped to talk to me. I went from a quiet, lonely writer holed up in her writing space to a chatting, laughing, out-going creature who I’m not entirely sure I’ve ever met before. But I had fun! The convention goes out with a bang—a huge book signing/sale. Of course, I’d signed up too late to get a seat on the floor with all the other self-pubbed authors, but I wasn’t going to let that stop me from attending. I went to play fan-girl and to support my friends who had managed to get in. But, as with everything else that week, there was a huge, long line just to get into the signing. To pass the time, I turned around and started chatting with the two nice women behind me. They were friends who’d come from Texas to the convention and, it turned out, also writers. Kishan Paul and Valerie Twombly were two of the nicest people I’d met the whole conference. We happily exchanged social media info and tweeted to each other. On-line, they introduced me to another friend of theirs, Aubrey Wynne, who happens to like reading the kind of books I write (she became a fantastic fan of my writing and my blog, as well as a friend). Over the summer, they contacted me to ask if I might be interested in joining with them in putting together an anthology of short stories about love in odd places. I thought the idea was fantastic, so I happily hopped in. I dropped the book was writing (which I’m still trying to finish up, argh!) and spent some time writing a short story prequel to one of my favorite books I’d written, An Exotic Heir. The hero of the Regency romance is an Anglo-Indian who has been passed over for a promotion one too many times. He decides to get revenge by making his boss’s daughter fall in love with him. That works out great until he realizes that he has fallen in love with her as well. It’s a story of revenge and discrimination set in Calcutta. So what could be more fun and interesting than the write the story of how this hero’s mother, a good Indian girl from a wealthy family, met and fell in love with an Englishman? The topic fit in nicely with the theme of the anthology (under—and sometimes in—a mango tree in 18th century Calcutta isn’t your usual setting for a romance) and was so much fun to write since I happened to be in that very city at the time. Now, as we finalize the book and get everything set for its release, I can’t help but be grateful that I decided to bow to peer pressure and to make the most of my time at RT. Some day I’ll actually meet these fantastic women again face-to-face (sadly not at RT next May as I’ve got conflicting responsibilities), but soon I hope because they are the nicest, warmest, and hardest working people I’ve had the honor to know—aside from being great writers. 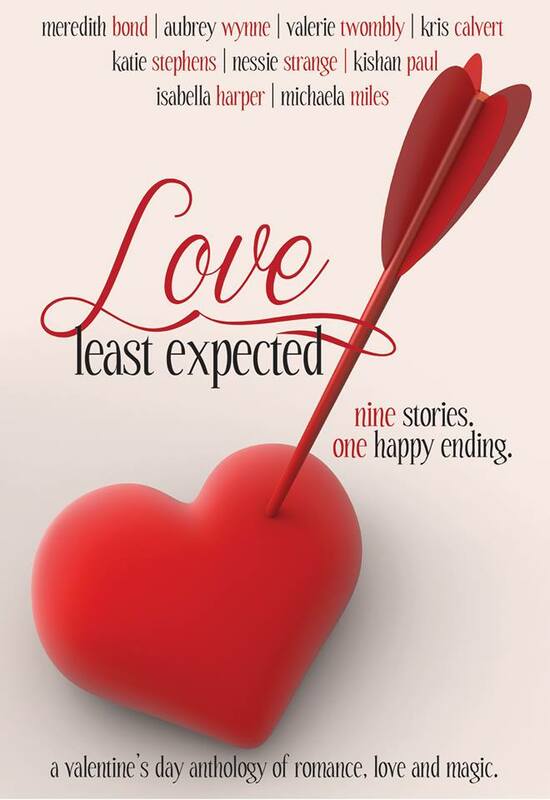 For now our anthology, Love Least Expected is available for pre-order. To find out where its available and more about the stories in the book and all of the authors who wrote them click here. Great post and wonderful story. I haven’t been to RT yet, but would love to go someday. Can’t wait to read the anthology. Thanks Caryn. It’s a pretty awesome, intense four days!